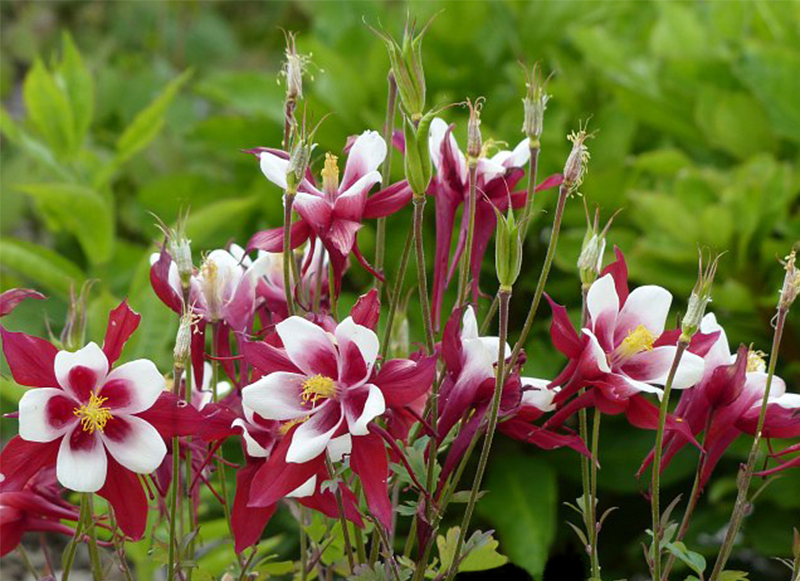 This wonderful columbine has large, red with white flowers with long spurs 8cm across. It blooms in late spring to early summer. Height 50cm. Sow February to June or September to October. Sow seed on the surface of a good, free-draining, damp, seed compost and cover with a fine sprinkling of vermiculite. Seal container inside a polythene bag and place at a temperature of 15-20C. Germination can take 1-3 months.